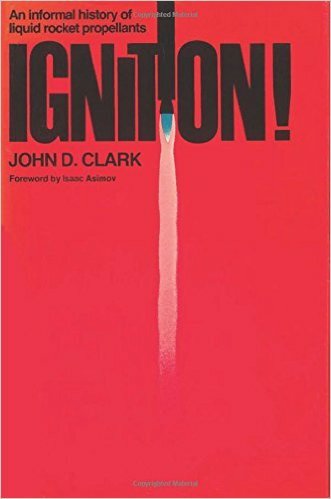 There is a good book on rocket stuff called Ignition! [An informal history of liquid rocket propellants] by John Clark, that’s a really fun one. A classic, accessible, and entertaing history of liquid rocket propellants, with introduction by Isaac Asimov.